Tea is enjoyed all over the world. Said to originate from Southwest in China, according to Wikipedia, it was introduced to Europe during the 16th century and only became fashionable among Britons in 17th century. When an invite from Tetley Tea came for a session of The Art of Tea Blending with The Tetley Tea Master, Sebastian Michaelis, it was an invite I couldn’t refuse simply because I have always enjoy my teas. Tetley Tea, the largest tea company in UK and Canada, is also the 2nd largest tea brand globally with over sixty branded tea bags. Despite its popularity internationally, Tetley has only recently reached our shores not too long ago. 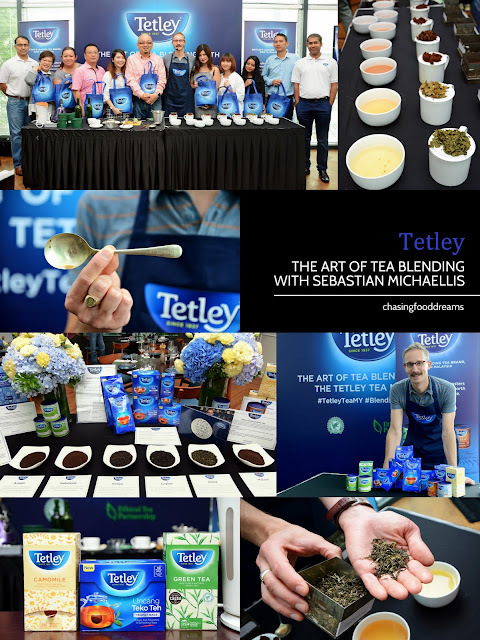 With 180 years of heritage in perfecting the art of blending tea, Tetley also sources its tea from 11 countries across 3 continents. Our tea master, Sebastian greeted us the moment we walked into Cocott Restaurant with a charming smile. The world-renowned tea master chatted with us briefly of how he never gets tired enjoying a good cuppa tea! When asked if he has a preference of tea, he aptly replied that he has none simply because he enjoys different tea depending on the time of the day as well as the moment. Rajat Kumar, Global Head Business Development Tata Global Beverages, kicked off with a speech. Our tea session began with Sebastian giving us an insight of how tea is cultured all over the world. Tea is made from young leaves and unopened buds of the plant Camellia Sinensis. Doesn’t matter what type of tea it is, all teas comes from the same plant but is processed differently. Due to environment, tea leaves differs in flavour and aroma as well as color. Tea cultivation is hard work. Tea leaves are still carefully handpick by hands today and is a labor intensive agriculture. Tetley, the founding members of Ethical Tea Partnership, is committed to be socially fair and environmentally sustainable by sourcing 100% of their tea from Rainforest Alliance Certified™gardens. Whether it’s China, India, Africa, Indonesia or Argentina, Sebastian travels across the globe, making valued relationship with all the tea plantations globally to secure the best quality of tea possible for Tetley. There are two kinds of processing cut for tea leaves, CTC or orthodox. CTC method is a faster way of producing a standard quality of tea rather than the orthodox method as it is more time-consuming and require more human labor. CTC method uses a CTC machines which crush, tear and curl them and process them in a period of just two hours. This method produces consistent tasting and produces strong, dark liquor with a distinctly astringent flavor profile which can accommodates the addition of condiments like milk and lemon far better than orthodox teas. Orthodox method has every batch of tea leaves treated to a precise amount of withering, rolling and oxidization, all regulated by trained tea professionals to extract the best flavors from the leaves. This method offers the most authentic tea experience, hence often more expensive than the tea produced with the CTC method. 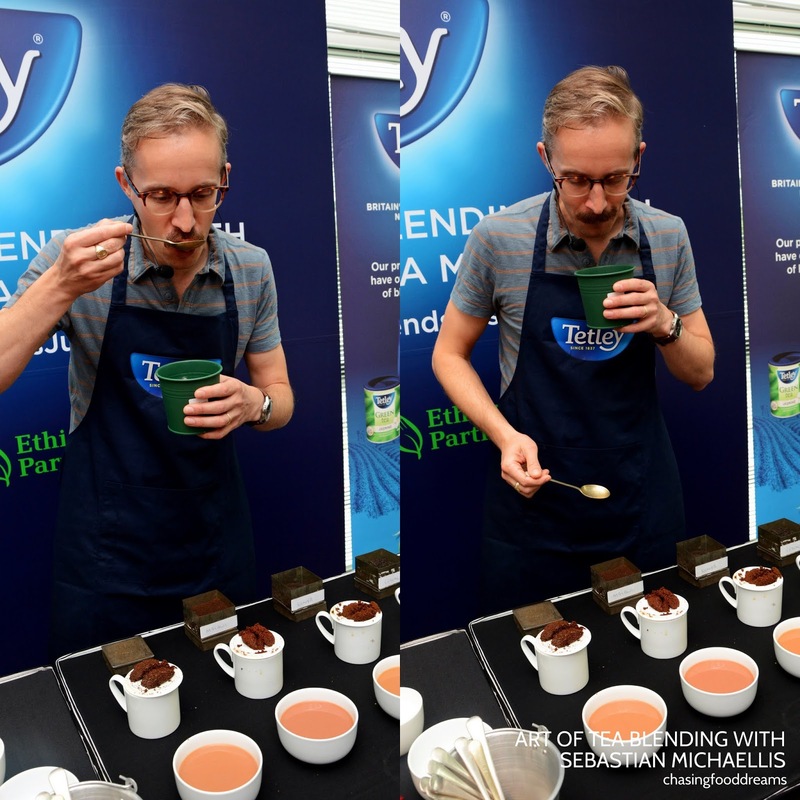 It takes at least five years to become a qualified Tetley Tea Taster. Sebastian has over 10 years of experience among his team. He also showed us that each tea master has his or her own spoon engraved with their names on it once they are qualified as Tetley Tea Blended. All Tetley Tea is taste tested eight times before they make it into the final production for sale. The quality of a tea blend is graded using a unique language called Uhuru. Sebastian proceeded to show us how he assesses tea leaf with four factors of Sparkle, Colour, Body and Zing. Since no tea crop is ever the same due to environmental conditions, tea tasting and blending requires skills and continuous learning process. In fact, each Tetley Tea Blender gets his taste buds insured for 1 million pound! All black tea leaves are graded with addition of milk except green tea leaves as advised by Sebastian. We also learned that the perfect tea brew is made with only once-boiled water around boiling point. Black tea is best brewed with boiling point water whereas green tea is best brewed with boiling water cool down after two minutes. Steep your tea bag longer if you prefer a stronger tea note for black tea while the green tea only needs less than 2 minutes. After our tea session, Sebastian challenges us to making our own tea with Tetley and a few other fresh ingredients. I made mine with ginger and basil with a hint of lemon. Cheng Yi aka FatBoyBakes walked off with the prize with his tea, picked by Sebastian to be his favorite of our group… Congrats again Cheng Yi! 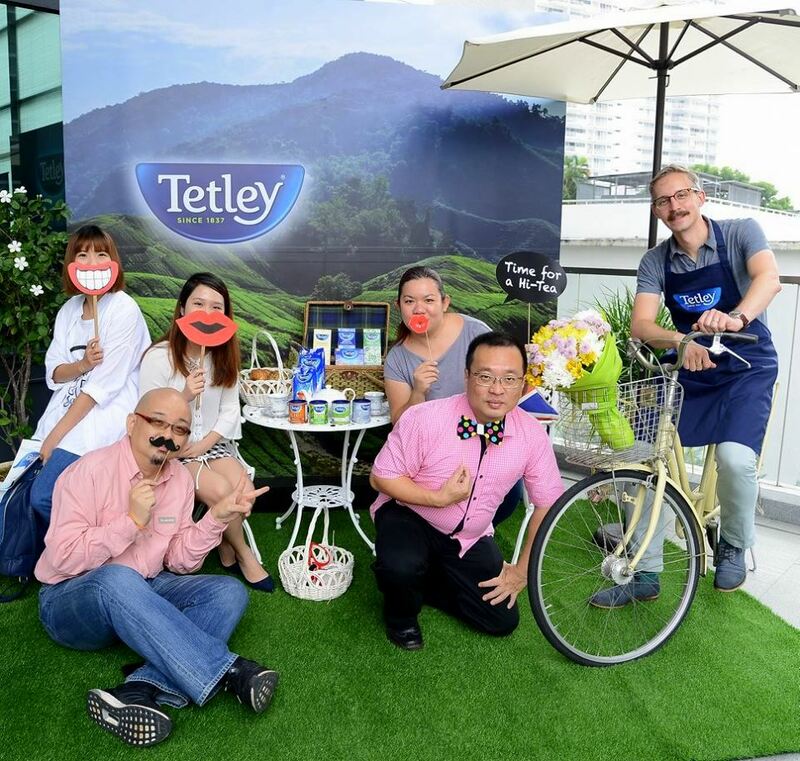 After the tea session, we all sat down to enjoy a lovely High Tea of mini savory and sweet bites with Tetley teas. A fruitful and informative session of tea with Tetley Tea Master Sebastion Michaelis! I have been a regular user of Tetley tea for as ong as I can imagine. There aren't many other tea brands that give as strong a kick as Tetley with every cup of tea.